Tis the Season for B-movie goodness and the Lost Highway mutants are hoping Santa brings them something soaked in b-movie cheese sauce. You should buy one of each of these gift ideas for every member of your family this holiday season. If you don’t, then it’s obvious that you don’t love them. I no longer would have to wonder who I could call with my very own unlicensed nuclear accelerator. 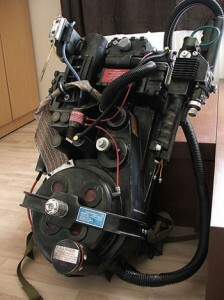 Busting ghosts around the crib would no longer be a hassle. I could also start a side business, kinda like when kids mow your lawn for twenty bucks, but they do a really bad job of it. How else would you listen to one of the greatest soundtracks to a horror film in the past decade? 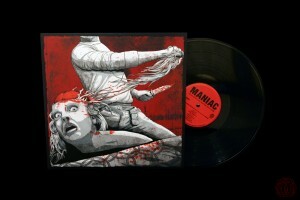 One of the coolest companies, putting out one of the coolest soundtracks on vinyl, Mondo even got artist extraordinaire Jeff Proctor to illustrate the sleeve. 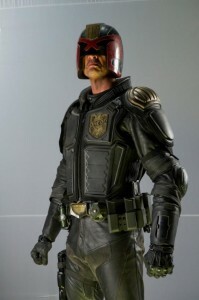 You will know I am the law when you see me strolling in my neighborhood wearing this badboy, day and night. Of course, it looks like it doesn’t vent well and would probly get really stinky. Then again, it would probly gain me a whole lot of respect. Judges don’t get much street cred. 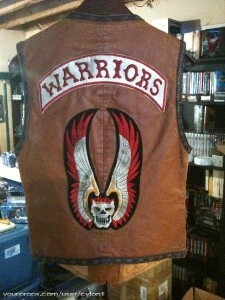 If’n you’re gonna go out and bust some heads, why not do it in style with a Warrior’s Vest? 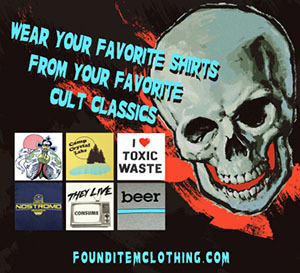 Start your own gang, which could come in handy while shopping for gifts. 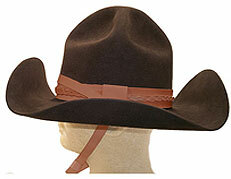 Winter calls for a good quality hat, and there ain’t no better hat than the one Kurt Russell wore in The Thing. Sure, it might not make you a better chess player or helicopter pilot, but dang-it, you’ll sure look good. 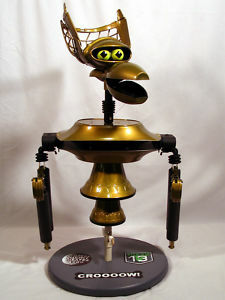 Everyone needs a buddy for watchin’ bad movies, and who could be better than Mr. Crow T. Robot? Now, I’ll have someone besides the rats to keep me company. The perfect gift for that favorite 99% in your life. 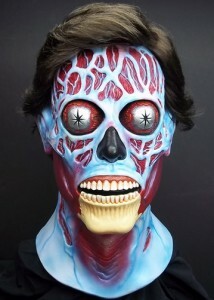 Blend in with the rest of our alien overlords with this amazingly detailed mask from Trick or Treat Studios. No need to get into a 10 minute street fight to force your buddy wear a pair of sunglasses to see it. 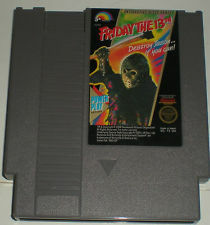 Despite playing a unhealthy level of video games when left alone at the carnie trailer I never actually got to play this little gem of 80’s horror-gaming. From what I hear the graphics are ground breaking, Jason has never looked more horrifying and there’s a special god mode that allows you play as a virgin. I know it’s hard to believe but I didn’t use to be as popular with the ladies as I am today. 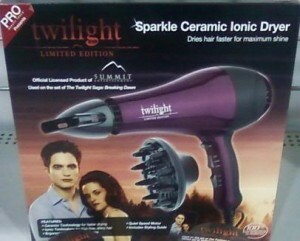 That was until I bought one of these amazing Twilight movie hairdryers. I immediately was more attractive to pretty girls with little or no personalities. and despite my own blandness, my skin began to sparkle in the sunlight. Thought I might enjoy a good pint of blood now I find myself getting into a lot more werewolf fights than I use to. 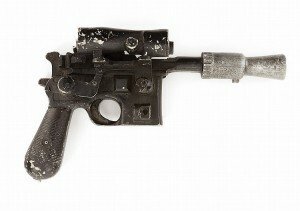 All I want for Xmas, Hanukkah, Eid, my birthday, Easter, and/or any other gift-giving holiday for the rest of eternity is Han Solo’s DL-44 Blaster. I spent more hours of my life pretending to be Han Solo than anything else. Granted, it’s a bit weird now that I’m 40, but I will be so much more validated armed with the gun that shot Greedo PREEMPTIVELY (that means first, Lucas) under the table like a good smuggler’s gun would. Make it so! Number one! What gal wouldn’t just looove for Santa to have left this under her tree? 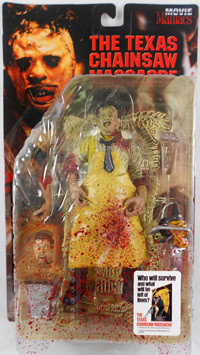 The McFarlane Movie Maniacs Leatherface, complete with bony stand! Any fan of the greatest move ever made (in my humble opinion) would cherish this like it was their child. How could Christmas be complete without a seance? 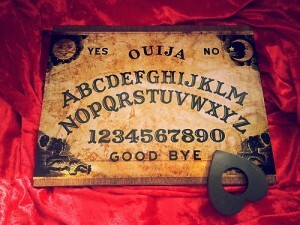 That’s why the next thing I would ask ol’ St. Nick for is a Witchboard! Now we can find all our lost wedding rings, hidden eggs from last Easter, and maybe Jimmy Hoffa! Just watch out, if you meet Captain Howdy, run for the hills! 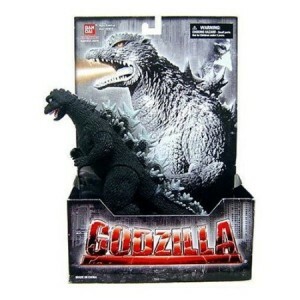 The final item, well, items on my list are the Bandai Godzilla figures. From the classic Godzilla to MechaGodzilla to Mothra and Ghidora… I would have a blast with these. Just think about the awesome fights you could have around the tree!